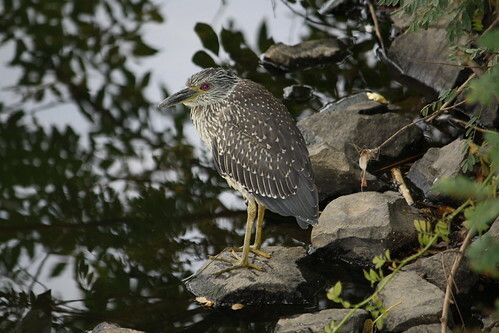 Julie Buechner discovered a juvenile Yellow-crowned Night-Heron today in a corporate pond on Jefferson Road near Smith Road in Parsippany. 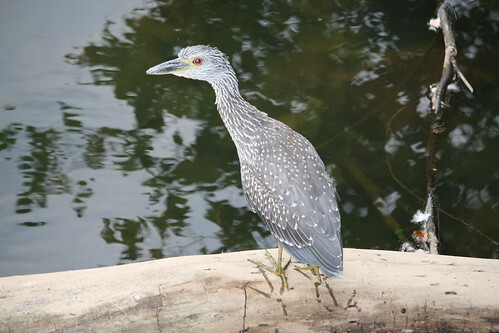 This is the only report of this species in Morris County for 2013. It is the fifth known record in Morris County since 1988 (see the list here). Morris Township, the headquarters of mocosocoBirds, suffered a power outage on Sunday throughout the area which lasted into Sunday night. JCP&L was at a loss to explain it (why are we not surprised). This caused a delay in postings which I apologize for. Yesterday, Sep. 8, Dave Emma found a Yellow-bellied Flycatcher and a Philadelphia Vireo at Glenhurst Meadows in Warren Township. His photos are below. Yellow-bellied Flycatcher, Glenhurst Meadows, NJ, Sep. 8, 2013 (photo by Dave Emma). Philadelphia Vireo, Glenhurst Meadows, NJ, Sep. 8, 2013 (photo by Dave Emma).